Assets traceability systems are essential to improve the production flow, optimize the supply chain, better manage the resources and to increase inventory accuracy. Companies all over the world use Barcode, RFID and RTLS technologies to monitor the flow of materials, components and products and to obtain real-time visibility of the equipment conditions and of the logistical and production processes progress. Selection, integration and application of these technologies must be carefully valued in order to maximize the return on the investment. KFI, with twenty years of experience, hundreds of implemented projects, thousands of installations and a dedicated consulting team is your reference partner for the implementation of Asset Tracking solutions. Manufacturing companies use real-time assets monitoring to optimize in-line restocking of the parts during assembly and processing stages. Their goal is to prevent interruptions and bottlenecks keeping the influx of components to the workstations regular and synchronized. All this allows production in a lean environment ensuring an accurate planning of the operations and an accurate inventory count work-in-process. Inside the warehouse, Asset Tracking solutions allow to monitor the stocks conditions and the pallets, boxes and articles precise locations, benefiting a more efficient and accurate management of stocking and picking logistical processes with the additional possibility of having the effective assets inventory available at any moment. Outside, it is possible to control handling and loading of the vehicles, optimizing the bays use and preventing loading errors which could occur during the pallets handling phase. The solution also allows to administer departure and return reusable transport items ( RTI ), such as containers, pallets, roll-containers, etc. Fresh food and pharmaceutical products require monitoring of the temperatures and humidity to ensure correct preservation. Thanks to RFID tags, it is possible to log the product historical data for subsequent checks. Logged information allow to highlight the presence or absence of environmental conditions variations which undermined the product compliance. 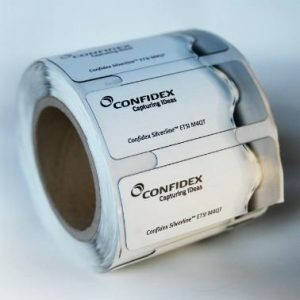 Tags applied to machines and equipment can store precious historical information on maintenance interventions and components replacement. KFI implements smart labels and tags in projects for items tracking and monitoring.